How do you get from where you are (passionate, smart student) to where you’d like to be (happily employed information professional with a thriving career)? Find out from individuals who’ve done just that – and are willing to share their journeys. Join us for our Career Podcasts as we explore the vast library and information science career landscape and glean career advice from expert practitioners drawn from various professional pathways. Listen at your convenience to these publicly available interviews and learn how others have successfully navigated the types of career challenges common to the information profession. 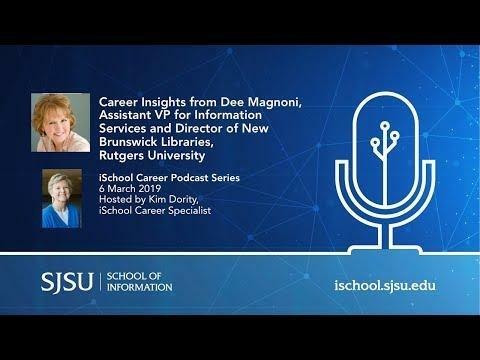 Dee Magnoni has had multiple high-impact roles throughout her LIS career. She’s successfully moved among academic, government, and corporate libraries numerous times, and is now assistant vice president for Information Services and director of New Brunswick Libraries at Rutgers University. Are you wondering how adaptable your LIS skill set can be in a changing profession? Listen to how she made those transitions in a constantly evolving and thriving career. 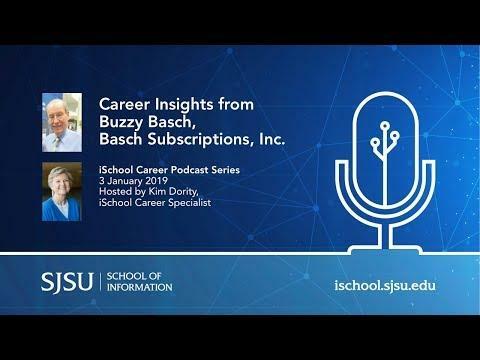 As one of the most respected vendors in the library and information science world for decades as the head of Basch Subscriptions, Buzzy Basch brings unique and engaging insights into where the profession has come from and where it’s heading. Check out this podcast for his advice on how to make yourself an irresistible employee!